Most everyone recognizes LG, a company that has its proverbial fingers in all the technology pots, from cellphones to refrigerators. Take a quick look at how LG can help you do your laundry. Your washer and dryer can download new and improved wash and dry cycles from LG, as well as any other software updates, through your home’s Wi-Fi. And did I mention for free? The washer and dryer can notify you when cycles begin, finish, or are interrupted. 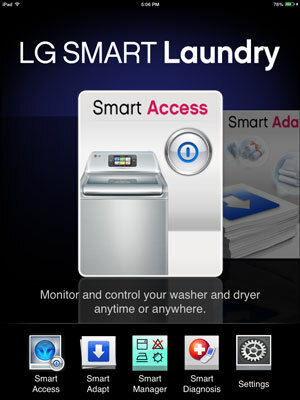 The LG Smart Laundry app allows you to monitor and control washer and dryer cycles no matter where you are. You can also use it to download the aforementioned wash and dry cycles and software updates. For more information on LG’s line of Smart ThinQ washers and dryers, visit LG’s website.